Eric Filia does not have any MLB stats for the season. Draft: 2016, Seattle Mariners, 20th rd. April 4, 2019 Arkansas Travelers placed RF Eric Filia on the restricted list. 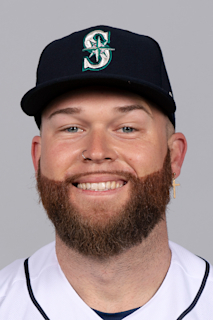 January 24, 2019 Seattle Mariners invited non-roster OF Eric Filia to spring training. June 16, 2018 RF Eric Filia returned to Seattle Mariners from Boston Red Sox. June 16, 2018 RF Eric Filia assigned to Arkansas Travelers. June 12, 2018 Seattle Mariners traded RF Eric Filia to Boston Red Sox. June 12, 2018 Portland Sea Dogs placed RF Eric Filia on the reserve list. May 30, 2018 Arkansas Travelers activated RF Eric Filia from the restricted list. April 5, 2018 RF Eric Filia assigned to Arkansas Travelers from Modesto Nuts. January 12, 2018 Modesto Nuts placed RF Eric Filia on the restricted list. October 10, 2017 3B Eric Filia assigned to Peoria Javelinas. August 22, 2017 Modesto Nuts activated RF Eric Filia from the temporarily inactive list. August 14, 2017 Modesto Nuts placed RF Eric Filia on the temporarily inactive list. April 1, 2017 RF Eric Filia assigned to Modesto Nuts. March 4, 2017 RF Eric Filia assigned to Seattle Mariners. September 6, 2016 RF Eric Filia assigned to Everett AquaSox from Tacoma Rainiers. September 5, 2016 RF Eric Filia assigned to Tacoma Rainiers from Everett AquaSox. June 15, 2016 RF Eric Filia assigned to Everett AquaSox. June 14, 2016 Seattle Mariners signed OF Eric Filia.